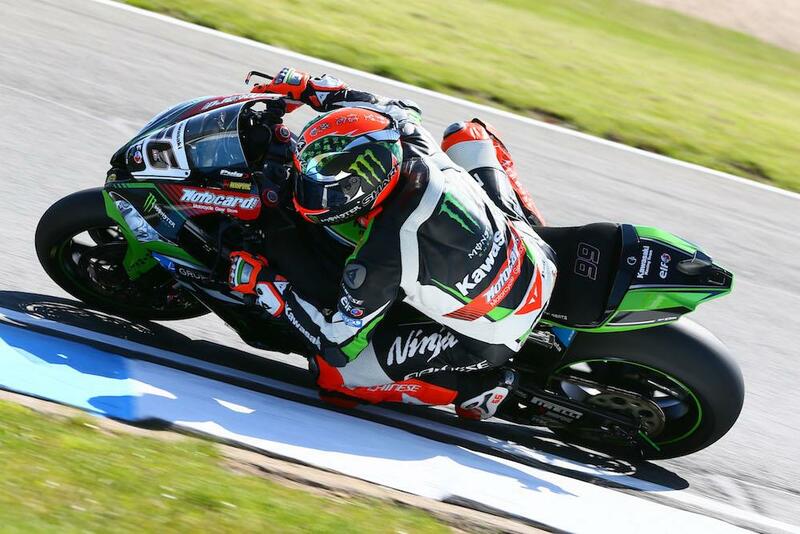 Tom Sykes cruised to a ninth consecutive Donington Park victory this afternoon after team-mate Jonathan Rea crashed out after putting up a strong challenge throughout the race. It was Chaz Davies who got the holeshot, determined to make a point to the Kawasaki duo who have so far been dominant at the Leicestershire circuit, but it all proved too much for the Aruba Ducati rider who tucked the front and crashed out of the lead at the Melbourne loop on the seventh lap. Sykes left himself with work to do after trying to respond to a pass from Rea at Craner curves, pushing himself wide at the Old Hairpin and allowing wildcard Leon Haslam through. After picking off the notoriously hard-to-pass Haslam, Sykes worked hard to chase down team-mate Rea. After initially showing his wheel with ten to go, he’d eventually get past and pull the pin on lap 19. Rea’s pace dramatically dropped, indicating possible tyre issues, before he crashed out of second place at Craner curves in a strange incident in which the rear end came round on him late on the exit. 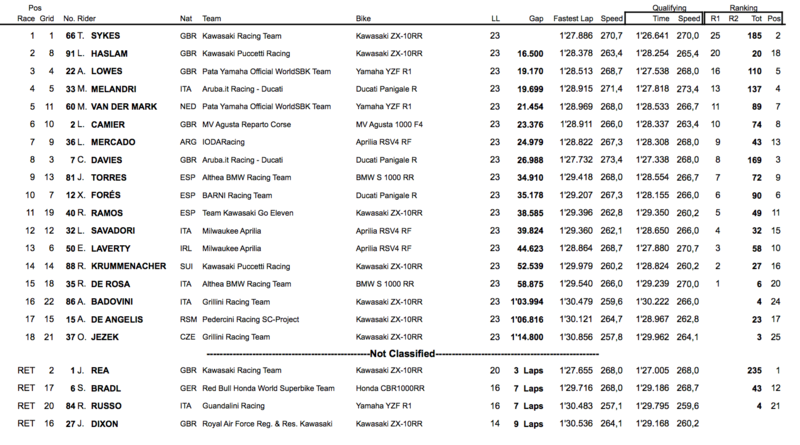 Rea’s demise saw Haslam elevated to second place, but the drama didn’t end there with Alex Lowes getting the better of Marco Melandri at the final corner to take a home podium, becoming the first non-Kawasaki or Ducati rider to stand on the box this year.